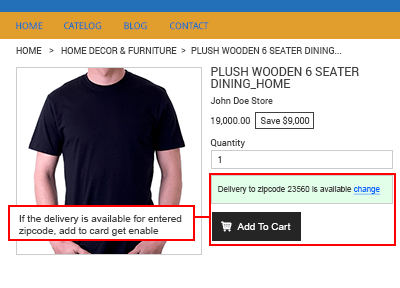 Shopify Product Zipcode Validator : With Shopify Product Zipcode Validator App, products availability for any location can be searched through the zip code. Now, the customer can see if the product is available for shipping for a specific location or not. Merchant can assign different zip codes to various products according to their availability on the respective locations. 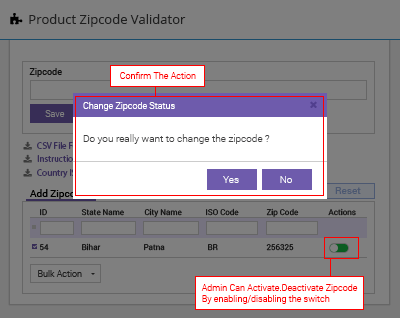 Shopify Product Zipcode Validator - With Shopify Product Zipcode Validator App, products availability for any location can be searched through the zip code. Now, the customer can see if the product is available for shipping for a specific location or not. Merchant can assign different zip codes to various products according to their availability on the respective locations. A feature of this app is that the zipcode can be activated or deactivated by the merchant and if any zipcode is deactivated by the merchant from the backend, the delivery on that particular zipcode will automatically become unavailable on the Store. Product availability through zip code search. Merchant adds Product Availability at specific location. Assignment of Zip code to products. Responsive Design for Portable Devices. 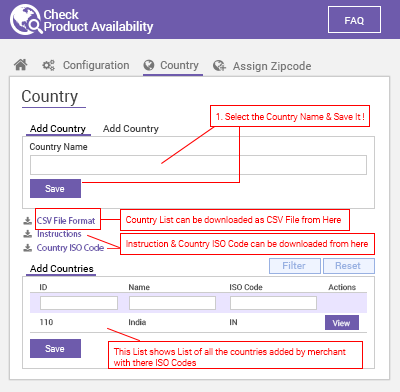 Admin can upload the Product Zip codes CSV File . Admin can activate/deactivate already assigned zipcodes. 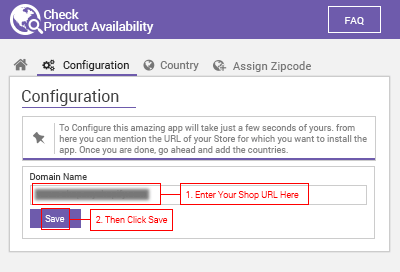 Configuring the App by entering the Shop URL. Admin adds & imports countries ,provinces/states ,and its cities along with Zipcodes. Admin assigns those zipcodes to various products. If any zipcode is deactivated by the merchant from the backend, the delivery on that particular zipcode will automatically become unavailable on the Store. The “Zipcode Validator” button will reflect at your store for those products on which the zipcodes have been assigned. 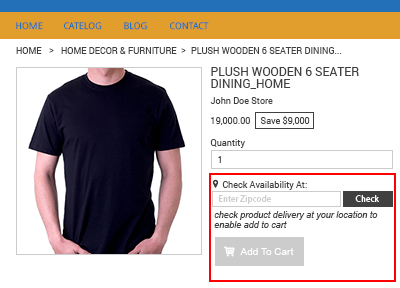 Add to cart button will get enabled only if the product delivery is available for that particular location's zipcode. Did you buy Shopify Product Zipcode Validator?